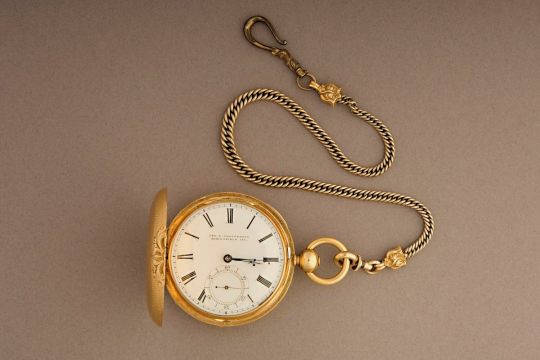 In the 1850s Abraham Lincoln, then a successful lawyer, purchased a fine pocket watch from George Chatterton, a jeweler in Springfield, Illinois. 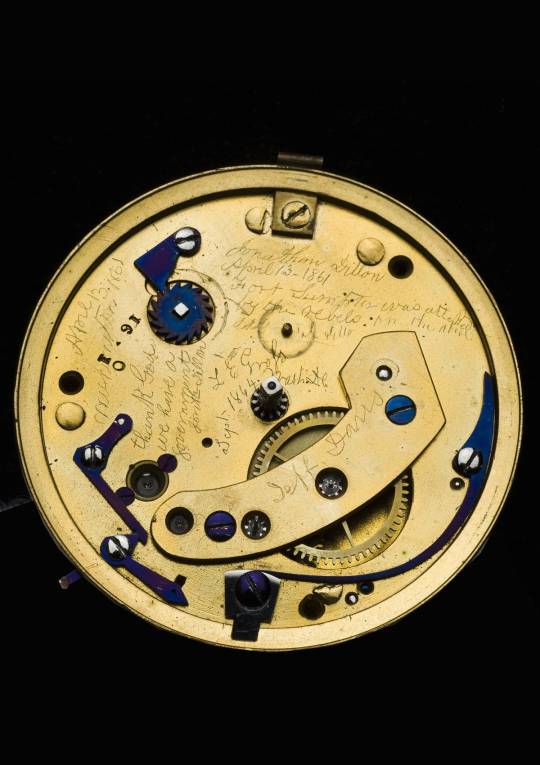 The mechanism itself was manufactured in Liverpool, England, but the 18-carat case was of the best quality manufactured in America. Aside from its make, there was nothing special about this particular watch … until later on, when someone else got his hands on it. In November 1860 Lincoln was elected the 16th president of the United States. In January 1861, South Carolina seceded from the Union, followed by six more states before Lincoln’s inauguration. On April 12, 1861, the American Civil War began with shots fired at Fort Sumter. The first gun is fired. who at least will try. The inscription was slightly different from Dillon’s recollection. First, Fort Sumter was misspelled as “Sumpter.” Then in 1864 a second watchmaker, L. E. Gross, had signed his name. Also, at some point someone had etched “Jeff Davis,” either as a joke or a statement of support for the Confederacy. It was common practice for watch repairers to engrave or mark the inside of watches with their details, albeit more discreetly than Dillon. We are wondering who the real Abe Lincoln really was and how such a strange message got into his time piece and what possible time travel implications are inherent here in such a strange story? 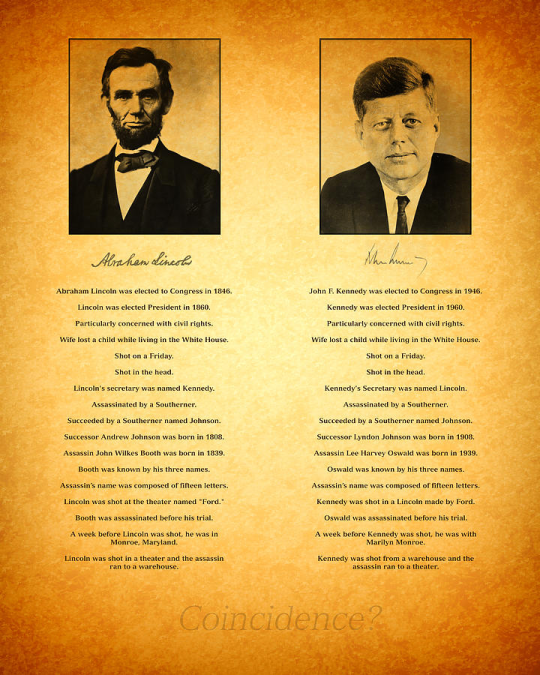 Were we lied to about Lincoln and Kennedy and Carter? All lies? Does Coincidence Theory explain all these facts noted by Jordan Maxwell? The occult was practicing the divine right of kings and we had absolutely no idea? 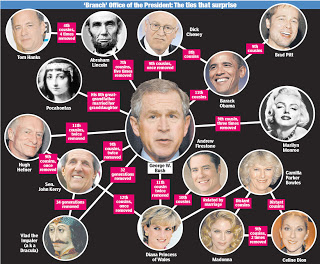 The ancient bloodlines were in charge and had always been in charge using ancient bloodlines and the occult black magic to maintain their grip on power? How long had cloning and gene splicing been going on? Yes it can get even more strange and wo-wo! As a simple self administered test listen to the audio portion of speeches of Carter and JFK without looking at the video and see if you can spot the difference in their voices. 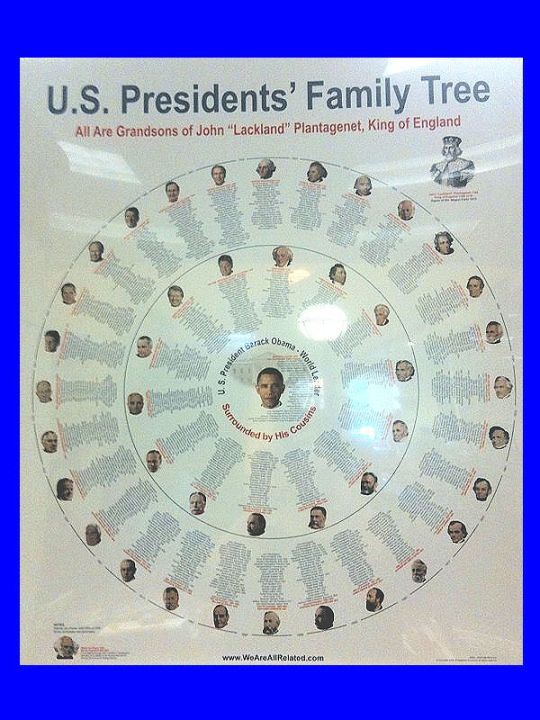 12-year-old girl created family tree linking 42 of 43 U.S. presidents to King John of England, who signed Magna Carta in 1215. Obama and his cousins were all the Presidents and was all kept “in the family”.